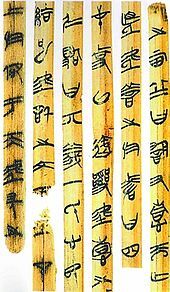 Macquarie University in Sydney will host an international conference on ancient Chinese thought and the newly recovered ancient bamboo and silk texts in December 2014. The symposium, the first in the southern hemisphere to examine traditional Chinese thought in the new texts, is being organized by Chinese Studies, within the Department of International Studies (Languages and Cultures), Faculty of Arts, with the support of the MQ Ancient Cultures Research Centre. In the past four decades, the discovery of previously unknown texts dating to the fourth century BCE and to the Han Dynasty, as well as older versions of known texts, has revolutionized the study of early Chinese philosophy and history. The texts are of great significance in understanding the development of the major strands in Chinese thought particularly what we now speak of as "Daoism" and "Confucianism" - that have had an enduring significance in many Asian cultures, and in allowing us a fresh opportunity to ask crucial questions about ancient Chinese culture and history. Experts and key researchers in the fields of early Chinese writing and classical Chinese thought will discuss topics such as modes of manuscript production, Chinese intellectual history, and new interpretations of Chinese thought as revealed in these newly recovered texts. The bilingual discussion will provide a rare platform for exchange between Chinese and Western scholars, significantly advancing the frontiers of knowledge of early China and traditional Chinese culture.